What is a Mermaid’s Purse? Do Marine Biologists Have to SCUBA Dive? Marine Dimensions Internships and Volunteering positions are a fantastic way to gain valuable experience in an interesting and meaningful work environment. 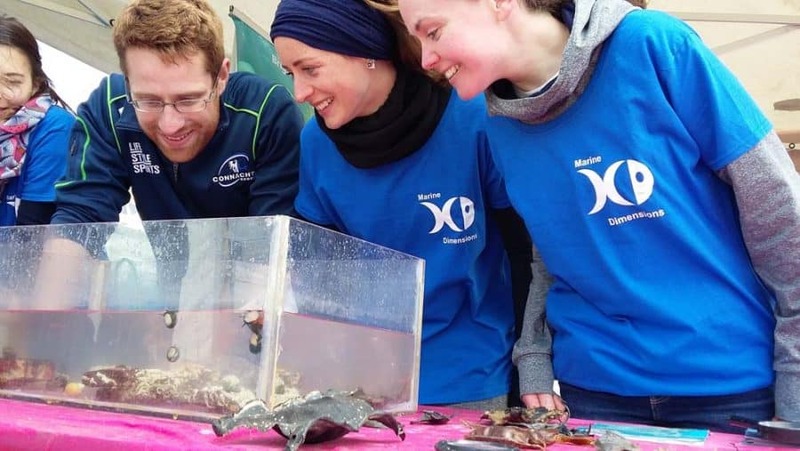 Our placements are ideal for graduates, or undergraduates, who are keen to pursue a career in environmental education, marine research or wildlife conservation. We value the energy and enthusiasm that our interns and volunteers bring to the workplace and we do our best to make the experience as rewarding and productive as possible. • Experience working with the public, managing events and delivering an active education and outreach programme. • Opportunities for developing and improving communications skills, including innovative techniques associated with the latest trends in digital media. • Training and experience in marine and coastal wildlife identification skills, including survey techniques and database management. • Your name on publications and reports associated with our education and research programmes. • Training and experience in a busy office environment. • A feel for what life is like working in an NGO environment. • Our internship positions require more of a commitment than the part time conservation volunteering opportunities that we offer. Internships generally run for a minimum of 10 weeks (approx. 35 hours/week); part time volunteering positions require a minimum commitment of 5 days (40 hours) per month over a period of 8-12 weeks. • Our internships and outreach positions are currently unpaid (Marine Dimensions is a small non profit). You will also be expected to cover the cost of your own accommodation, including travel expenses, unless you are travelling with us around the country on roadshows. • You may need to be available for evening and weekend events, eg. we regularly run wildlife workshops, marine biology courses and awareness days on Saturday or Sunday. • You should be willing to travel (either with us from Bray in Co. Wicklow or independently) to events around the country, eg. in 2018 we will be running workshops in Wicklow, Dublin, Wexford, Kilkenny, Donegal, Limerick, Galway and Kerry. • You will need to be able to work on your own initiative and as part of a team. There are currently no internship or volunteering positions available with Marine Dimensions. However, if you would like to be kept informed about upcoming opportunities, please do sign up to our mailing list.